ANY OF THE details of the inaugural meeting of the Church of God Elders Council on October 4, 1917, have been lost to history. The world was embroiled in war and Allied forces initiated the Battle of Broodseinde in Flanders that Thursday morning. Yet, while headlines focused on the war in Europe, twelve appointed elders met with General Overseer A. J. Tomlinson to further fulfill their vision of restoring God’s church and evangelizing the world for Christ. What is known today as the International Executive Council was born out of the Church of God quest to discover and follow the New Testament pattern of the church. 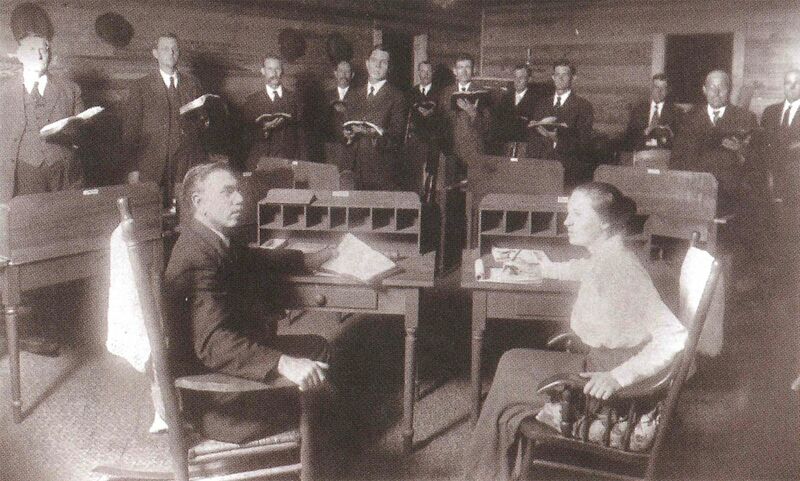 Tomlinson first presented the idea of an Elders Council at the 1915 General Assembly. Each year he presented an address to the delegates that introduced topics he believed the Assembly should consider in order to “put in motion the perfect New Testament order.” Previously, topics included financing ministries and the office of general overseer based on the role of James, the brother of Jesus. For Tomlinson, alignment with the New Testament pattern of church government would enable the Church of God to experience the evangelistic success of the early church. For unrecorded reasons, the 1915 General Assembly did not follow through on the subject of elders, so Tomlinson revived the issue the next year with a proposal that the general overseer should have a body “similar to the president’s cabinet.” He reiterated that just as James needed “assistance or counsel,” he too desired a deliberative body for such counsel. This time the delegates approved a recommendation to appoint elders to “have jurisdiction over all questions of every nature that may properly come before them, their actions and decisions to be ratified by the Assembly in session.” By the end of their first meeting, the elders had made 14 recommendations to the 1917 General Assembly. Comprised of the International Executive Committee and the Council of 18, today’s International Executive Council continues their practice. David G. Roebuck, Ph.D., is the Church of God historian and director of the Dixon Pentecostal Research Center on the Lee University campus.